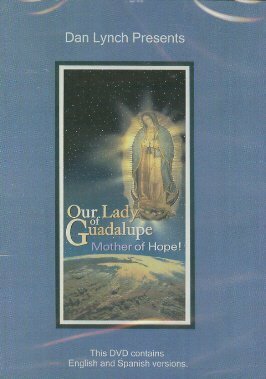 This video gives an account of the history of the apparitions of Our Lady to Juan Diego, and the effect it had on the culture of the Aztec natives with their worship of the pagan gods to whom thousands of human sacrifices were offered. Due to her appearances in 1531 human sacrifices were brought to an end with the conversion of the entire native population to the Catholic Faith. The Mother of God appeared as a pregnant mother, with the unborn Jesus in her womb. For this reason, and because her coming was instrumental in halting the human sacrifices, is honored not only as "Queen of the Americas," but as "Patroness of the Unborn." This is an impressive pro-life message. DVD. Soundtrack in English and Spanish.